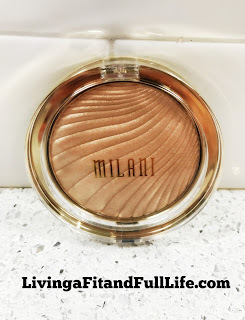 Living a Fit and Full Life: Highlight Like a Pro with Milani's New Strobelight Instant Glow Powder! 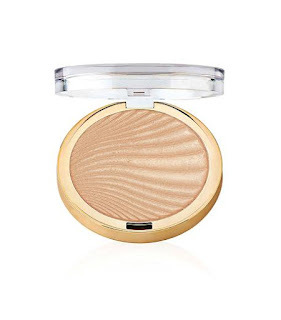 Highlight Like a Pro with Milani's New Strobelight Instant Glow Powder! Milani is designed for women who love to wear color. Our products allow women to explore and push their boundaries. Milani’s easy to use, high-end products, trend-setting and timeless colors are designed for you, our customer with unique needs. Highlight like a pro with Milani's New Strobelight Instant Glow Powder! I absolutely love how pretty Milani's New Strobelight Instant Glow Powder is and how amazingly glowing it is. It's the perfect way to achieve those professional highlights on your cheek bones. Milani's New Strobelight Instant Glow Powder blends like a dream and lasts all day. It's truly an amazing product that needs to be added to your beauty routine! Sometimes, I get lost just looking at this powder as the light runs across it. It's truly a beautiful thing and I love that it carries over to my skin and does the same when the light hits it. Milani's New Strobelight Instant Glow Powder is the perfect way to get terrific highlights day or night! Click HERE to find a store near you that sells Milani! Click HERE to learn more about Milani! Follow Milani on social media!